SHOT 1: Comics Should Be Good has run tournament to definitively answer the age old question 'Whose the best hero of all?' While you didn't need to be the world's greatest detective to predict it would boil down to Batman vs. Spider-Man, all you need to do to see which of the two world famous swingers came out on top, is click the jump. SHOT 3: It's been a while since I picked up an 'X-book', but with Whilce Portacio set to return to pencilling Uncanny X-Men in July, that just might change. In his brief 90's run on the title, he rocked the Sentinels, Jean, Storm, and introduced Bishop, all before jumping the fence for Image Comics. 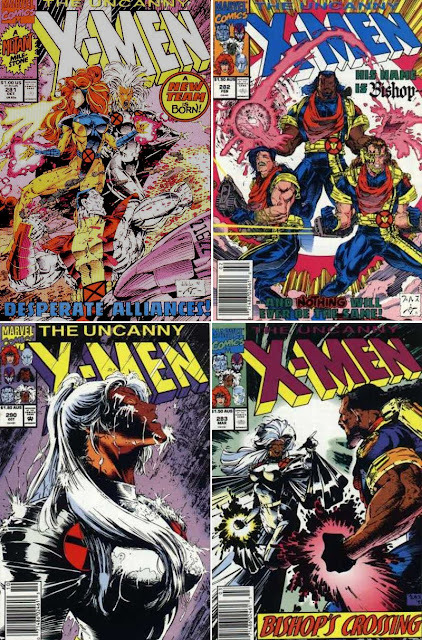 For a hint of what the man can do back behind the x-pencils, just checkout these hot covers of yesteryear.